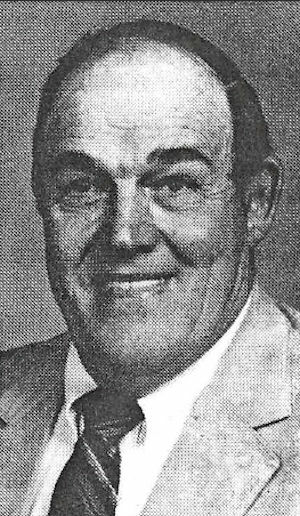 Obituary – Horn, Ronald Lee « Perry High School Alumni Association, Inc.
– son of Mr. and Mrs. Joe Horn, route 2, Perry, was born November 19, 1926, near Perry. Ronald has attended school at Pleasant Valley, district 27, in addition to Perry and has been a member of the F.F.A. He has been a participant in wrestling and intends to farm before he joins the armed forces and to continue farming after the war. Lifelong county resident Ronald Lee Horn, 68, died at 9 a.m. Wednesday, Sept. 6, 1995, at his home northwest of Perry. Funeral will be at 10 a.m. Friday at Brown Funeral home chapel. Rev. Gerald Klaus will officiate. Burial will be at Grace Hill cemetery. Horn was born Nov. 19, 1926, west of Red Rock, the son of Joseph Carland Jessie Bell (Brigham) Horn. He attended Pleasant Valley school and graduated from Perry high school in 1944. He and the former Marjorie Cinnamon were married June 5, 1952, northwest of Perry. He was a farmer/rancher. Horn was a member of the “Out of School” Future Farmers of America group; Perry FFA support group, director for the Red Rock Co-op and served on the Billings school board for four years. Survivors include his wife, of the home; four daughters and sons-in-law: Rhonda and Ralph Stowers,Garber, Rita and Kenny Altman and Vicki and Tony Todd, all of Billings, and Valerie and Roger Knott Perry; a son and daughter-in-law, Ronnie and Trisha Horn Jr., Billings; a foster daughter, Tammy Freeman, Cahokia, IL; one sister, Joanne Parrish; and 13 grandchildren. Memorials maybe made to the Antelope Valley church with Brown Funeral home serving as custodian of the funds.